Is Optimize set up correctly on your site? Let us double-check for you. 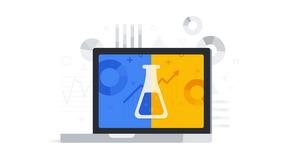 It just got a whole lot easier to share Google Optimize with your teams around the world. 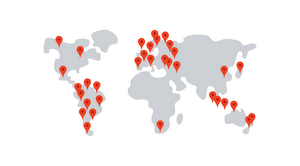 Optimize is now available in 37 new languages. Got a team in Thailand? No trouble. Cross-functional partner in Croatia? You're covered. You'll find the full list of supported languages here. We're always glad to bring our products to more of the world. But in this case, we're extra excited about the way this will help teams collaborate and innovate not just across the office but across the globe. In this data-rich world, everyone in your company needs to be part of building a culture of growth: a culture that embraces testing and analytics as the best way to learn what customers like most and to improve their experience day by day. Optimize opens the door for innovators at every level to explore how even tiny UI changes can improve results. Often those innovators take the form of a small "X-team" — maybe an analyst, a designer, and an engineer working together and totally focused on testing and optimization. With Optimize, a group like that can create changes in minutes instead of days, and they can more easily share that growth mindset and inspire others across their organization. Now with 37 more languages in play, Optimize makes it possible for many more local teams to take on the role of optimizers, innovators, and culture-changers. If you have team members who have selected one of the 37 new languages in their Google Account preferences, they'll see Optimize in that language whenever they next sign in. (If you’d like to select a language preference just for Optimize, you can do so in your Optimize user settings at any time.) And if you're happy with your current Optimize language, you're fine: No action is needed. To learn more about your global language options, visit our help center. Happy optimizing!